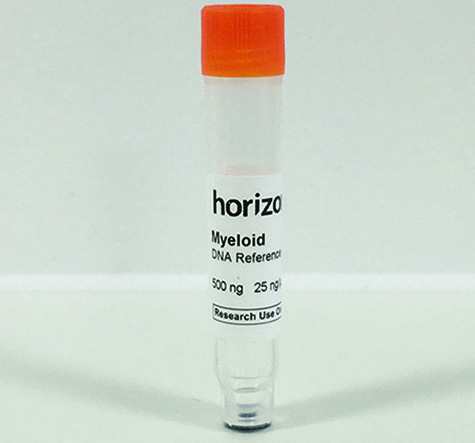 Gene editing and gene modulation technology company Horizon Discovery Group has launched a new Myeloid DNA Reference Standard. This large cell-line derived myeloid cancer reference standard enables faster, more reliable, and more cost-effective assay validation, to support the market in bringing routine testing into practice. The cell line–derived reference standard contains 22 mutations across 19 genes that are commonly associated with myeloid cancer. This provides genetic testing laboratories and assay developers with a tool to effectively validate and optimize myeloid genetic tests with DNA of known genotype which closely mimics the genomic DNA format and mutations present in real patient samples. The Myeloid DNA Reference Standard contains variants in more genes than most clinical material, enabling quality assurance goals can be reached faster.